OK, I’m going to start getting even more ambitious here at my bloggie and start talking about books. I read a lengthy music book over the last … winter that I quite enjoyed but never got around to reviewing it. I will soon. But in the meantime, let’s discuss this book. Now, I must offer a disclaimer: this isn’t really a review. I have a vested interest in its success. In my real life, I work on books. 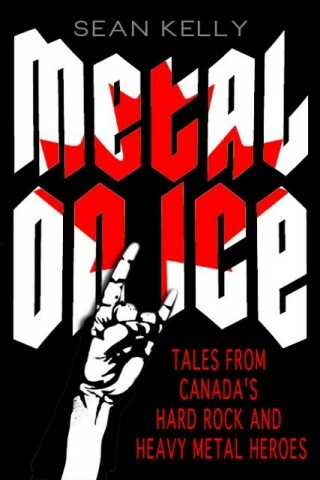 And one book that I helped out with that has just been published is Metal on Ice: Tales from Canada’s Hard Rock and Heavy Metal Heroes. You might think this an odd topic for me to write about. Well, just because I’ve yet to write anything on hard rock doesn’t mean I don’t like it. I have been acquainted with (and played music with) author Sean Kelly for quite a while. 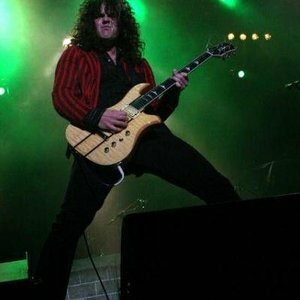 Kelly is a guitarist of great renown who led his own band, Crash Kelly, for a number of years. The glam/hard rock/power pop band at its best out-tricked Cheap Trick and out pixie-ed T. Rex. Since then Kelly has made his living playing for Canadian pop superstar Nelly Furtado, as well as other luminaries like new wave icon Carole Pope of Rough Trade fame. But the topic of his first book pretty well defines “make your own taste”. It’s a history and retelling of the careers and fortunes of Canadian hard rock bands that started up in the 1980s. A pretty narrow topic, you might think, but actually the way in which Kelly tells this story takes the theme into a broader context (or two). It relates what it’s really like to make it in a band in a certain place in a certain time in a certain cultural context. And it tells of how a fan of that kind of music took it into his soul then nurtured it, only to find himself one of its leading advocates. It’s a snapshot of a time and place in music and the lives it affects. This is a different way of writing about music, completely different from the dryer, fact-laden typical music biography. 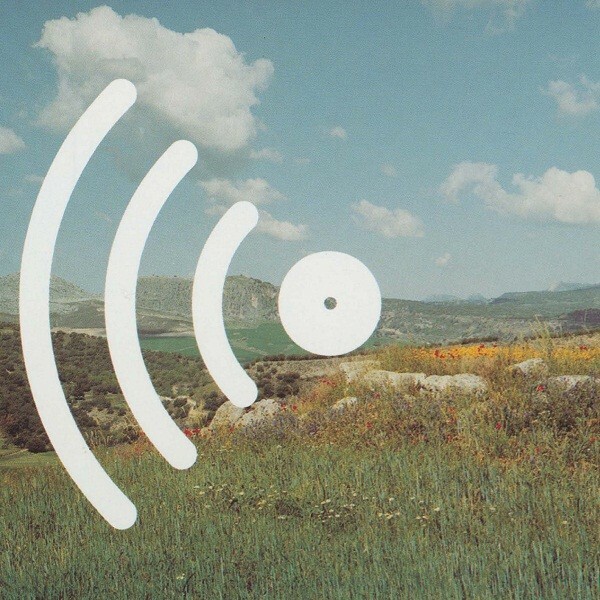 I emphasize the broader appeal because as a music listener myself, before I started playing with Sean I was as ignorant about this kind of music as any other person who knows not whereof they speak. When the big-hairs ruled the musical world, I was listening to Celtic rock and certain kinds of mopey pseudo-goth. Not only did Sean Kelly give me an education on how to properly bend a guitar string (no easy task), but he also lent me a little of his appreciation for songcraft. So, I no longer listened only to the hip and the obscure, and I developed a serious interest in Foreigner’s “I Want to Know What Love Is”. Frankly, that broad-mindedness entered other spheres of my life. I now proudly listen to things labelled “New Age” as well as “ambient”. I don’t give an eff what the cool kids think, and I have Mr. Kelly partially to thank for that. Mind you, I must have had a long way to come back from my adolescent douchebaggery, but I digress. So look at the bands profiled in this book: There’s a band named Honeymoon Suite, that, when you look past the pastels and the guitar faces that turned me off as a youngster, made some pretty tuneful post-new wave power pop. There’s Helix, the fun-loving metallers with the big tunes and giant riffs. There’s the balls-out intensity of Slik Toxik singer Nick Walsh, and the perfect timbre of his metal shriek. There’s the chunky AOR of the short-lived (but now re-formed) Coney Hatch, featuring Carl Dixon, a guy who could at times sing rings around Lou Gramm (and that’s saying something). There’s the woman-power of big-lunged female trailblazers Lee Aaron and Darby Mills. And then there’s underground of Canadian thrash, bands like Razor, Voivod and Sacrifice that could have been as huge as Metallica if they came from California. So we are talking about some talent here. Maybe if you’re not Canadian, these names mean nothing to you. But the way Kelly has structured this journey makes it hardly matter. He traces the arc of a band’s career from the garage to the record deal (remember those? ), to long nights and dangers of driving across the vast open spaces of an empty country, to tours opening for mega acts like Iron Maiden and KISS, to the taste of success and then the sudden slap-down of grunge. To digress again, I never cared for grunge. In retrospect, the sort of directionless angst of that genre, that dour but loud pseudo-soul searching, really shouldn’t have much staying power. And the bands that seem most beloved to this day, the Alice and Chainses and Soundgardens, were really just playing melodic metal tunes wearing plaid instead of lime-green spandex. But grunge slapped ’em down good, in the fickle world of pop culture. So it’s interesting to read from the horses’ mouths (this book is based on exhaustive interviews with the protagonists, another point in its favour) just how they went from top of the summit to untouchable, and how they dealt with the loss of income and self-esteem. Then things get even more interesting as we find out how our beloved Internetz have been utilized as a tool by these acts to reach out to their fanbases to revive some of these fortunes. Because here’s the thing about music: trends may come and go and stupid people will follow ’em, but millions of people don’t just stop loving something overnight. They still love it, but the media world suddenly decides to tell them that thing they love is yesterday’s news. That song you used as your first dance at your wedding? That’s crap now. The song that got you through the day your dad died? Forget it. Those styles you loved to wear? You’re a loser for sporting them. This devotion to fickleness is part of what has kept rock and roll from being considered a “serious art form” throughout its history — constantly marketing the music and image to fifteen-year-olds at the expense of the rest of the market, then dumping whatever music’s not moving the amount of units considered profitable at a given time. OK, I’m digressing again. So this book wraps up like a real journey as these musicians find their way back to the thing they love to do and the welcoming audience that never left them. Hence, it’s an uplifting story of perseverance, mirrored by Kelly’s own journey back to the music that captured his heart as a teen, and his own role in playing with some of these acts and helping them revitalize their sound. It really is a fascinating read for any rock fan, well-written, erudite and heartfelt. And it’s going to be accompanied by an album of updated versions of some old hits, with a big launch party to boot. It just goes to show that, to paraphrase Sebastian Bach of Skid Row fame when he was needlessly berating a Canadian prime minister: You can’t kill rock and roll, baby!